Claims that Scotland Yard and the Crown Prosecution Service (CPS) covered up evidence of police corruption in a high-profile money-laundering case have been given new weight after the discovery of a substantial number of documents suggesting an officer did take bribes. The previously undisclosed material came to light after the Director of Public Prosecutions, Alison Saunders, demanded a review into the conviction of Nigerian politician James Ibori. The internal investigation followed allegations by defence lawyers that prosecutors had "wilfully misled" judges about the existence of evidence that could support corruption claims. Now defence solicitors are being sent previously unseen documents discovered during the review. In a statement the CPS reveals how "the review team found material to support the assertion that a police officer received payment in return for information". "The review team has now concluded that this material should have been disclosed to the defence and the process of disclosure to relevant parties is under way." Prosecutors had previously denied there was any undisclosed material to support the corruption allegations and the admission that considerable documentation exists and should have been handed over, represents an embarrassing climb-down for the CPS. Ibori, a former governor of one of Nigeria's oil-producing states, pleaded guilty in 2012 to laundering millions in the UK through the purchase of property and expensive cars. Eight Ibori family members and associates, including former London solicitor Bhadresh Gohil, were convicted of linked crimes. The convictions were hailed as a victory for the Department for International Development (DfID), which had funded the prosecution as part of its campaign against state corruption in Africa. The project included a special anti-corruption unit operating from Scotland Yard. Questions about the safety of the convictions emerged after a bundle of documents was sent to the authorities purporting to show that police had accepted bribes from private detectives hired by Mr Ibori. Ibori's solicitor, Bhadresh Gohil, had sent the documents anonymously while he was in prison. He protests his innocence and claims he is a whistleblower exposing possible police corruption. It was alleged that the officer heading the DfID-funded unit, DS John McDonald, received payments in return for providing information to Ibori about the case. He has always denied any wrongdoing. 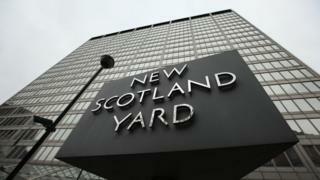 The allegations were investigated by Scotland Yard's Directorate of Professional Standards (DPS), which identified "no misconduct" and concluded the documents were forgeries. Mr Gohil was subsequently charged with attempting to pervert the course of justice. Prosecutors alleged that he had faked the documents to try to get his conviction overturned on appeal. But the Crown Prosecution Service abandoned a planned trial in January this year amid defence claims that crucial evidence of alleged police corruption had been covered up. DS McDonald's status was reviewed internally earlier this year, but he has since returned to normal duties, deployed to an operational post in Scotland Yard's specialist crime and operations unit. Scotland Yard said it is "not aware of any new information or evidence previously received regarding this matter, but we have made it clear to the CPS that should they have any such material as a result of the review, we would wish to receive it." Despite its discovery of previously undisclosed documents supporting claims of corruption, the Crown Prosecution Service says it "is confident that these prosecutions, which included four guilty pleas, remain safe". However, in a press statement, lawyers for Gohil say "the question of whether any of the convictions are safe is a matter which is currently sub judice". Asset confiscation proceedings for Ibori are still on-going and defence lawyers have lodged appeals against the conviction of Ibori and others. "Defendants in the cases have submitted grounds of appeal to the Court of Appeal, Criminal Division and the proceedings will not be litigated before the Court until 2017," the statement on behalf of Gohil says. "The principal question before the court is whether the convictions are safe by virtue of the CPS and prosecuting counsel having deliberately misled the courts on a number of occasions in respect of a number of defendants over a period of five years."